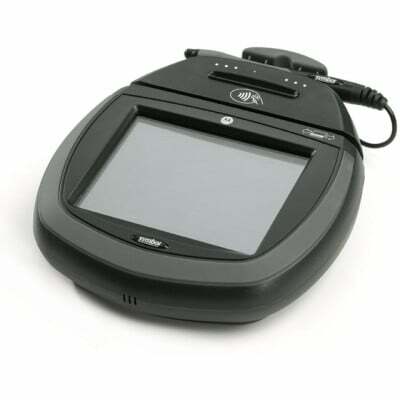 Symbol PD8750 Payment Terminal - Big Sales, Big Inventory and Same Day Shipping! PD8750, with 3-track MSR, 8/16, polarizer, no RFID, no Smart card, no Ethernet. Requires key injection in order to accept debit or credit card payments. Please call for more information. PD8750, Payment Terminal (8/16, RFID, No POL, No SC and No Ethernet). Requires key injection in order to accept debit or credit card payments. Please call for more information. PD8750, Payment Terminal (8/16, Special and No POL). Requires key injection in order to accept debit or credit card payments. Please call for more information. PD8750, Payment Terminal (8/16, RFID, WIC/EMV and Ethernet). Requires key injection in order to accept debit or credit card payments. Please call for more information. PD8750, with 4/8, polarizer, no RFID, no Smart card, no Ethernet. Requires key injection in order to accept debit or credit card payments. Please call for more information. PD8750, with 4/8, polarizer, RFID, no Smart card, no Ethernet. Requires key injection in order to accept debit or credit card payments. Please call for more information. PD8750, with 4/8, polarizer, RFID, Smart card, no Ethernet. Requires key injection in order to accept debit or credit card payments. Please call for more information. PD8750, with 4/8, polarizer, no RFID, no Smart card, Ethernet. Requires key injection in order to accept debit or credit card payments. Please call for more information. PD8750, with 4/8, polarizer, RFID, Smart card, Ethernet. Requires key injection in order to accept debit or credit card payments. Please call for more information. PD8750, with 4/8, polarizer, no RFID, Smart card, no Ethernet. Requires key injection in order to accept debit or credit card payments. Please call for more information.